Almost two years to the day after the release of Activa's triumphant debut album "This World", Activa is back with this eagerly awaited follow up. 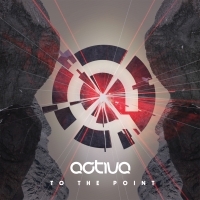 Poignantly entitled "To The Point", the album is set out in just that manner focusing around 10 original tracks that not only demonstrate Activa's sublime production talents and broad range of influences, it once again manages to successfully bridge the gap between club and album music. Extensive promotion has led to tracks being featured on Armin van Buuren's "A State of Trance" and also a full album feature by Paul van Dyk on VONYC. Activa has excelled by creating this superb follow up to his debut album and a testament to his status as one of the UK's leading underground producers. 'To The Point' is available now from Beatport and iTunes.